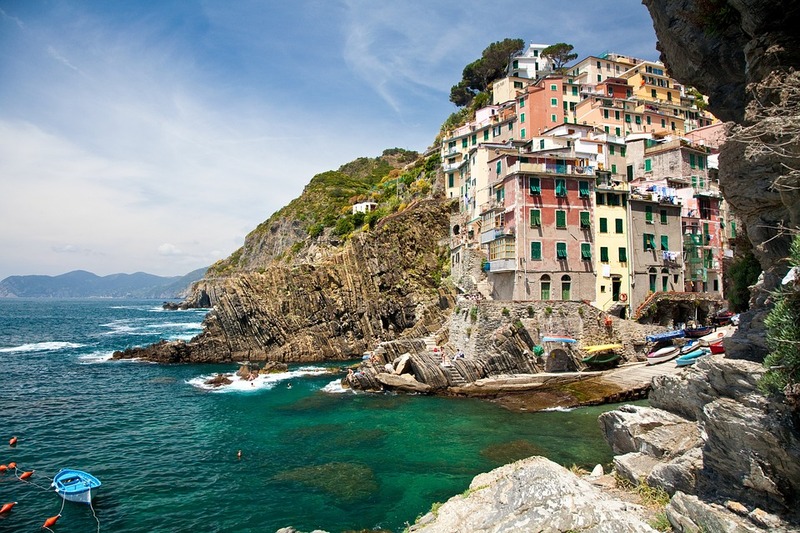 Cinque Terre is a very particular Italian destination. Appreciated for a long time by foreign visitors, especially from the US and Northern Europe, lately, it has been living a sudden growth that makes it renowned all over the world. Under the name of Cinque Terre we find five old fishermen villages perched on the Ligurian coast, very close to Northern Tuscany, called Riomaggiore, Manarola, Corniglia, Vernazza, and Monterosso. We have already talked about some of the wrong assumptions about Cinque Terre and gave you more information about this charming destination. 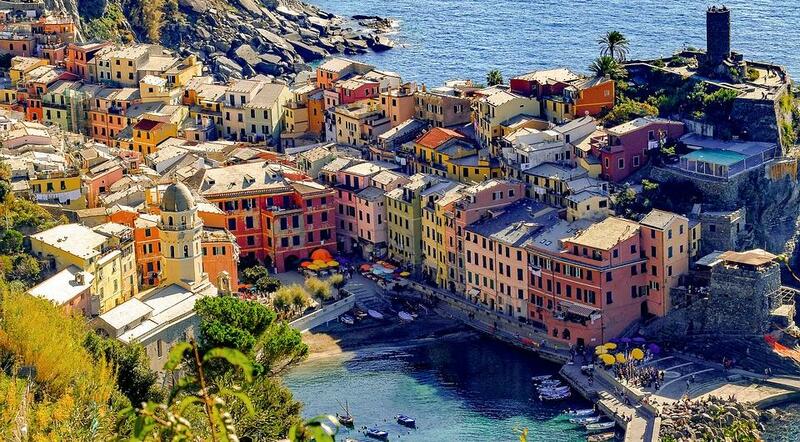 Here, we want to give you some additional tips and ideas on how to visit Cinque Terre. You may think that it is a foregone conclusion, but it is not. As a matter of fact, the unique geography of the area requires some premises. First of all, it is recommended to take a car or a van just to get closer to the Cinque Terre area, as we propose in our exclusive day tours. Once arrived in the area, it is better to forget the four-wheelers and prefer other means of transport, such as ferry-boats and local trains or a combination of the two. Sure enough, reaching each Cinque Terre village directly by car or van makes the itinerary much longer and demanding. Furthermore, the very heart of the five villages is closed to car traffic, and the few parking lots available are generally reserved to the residents. Weather permitting, the best way is to move and stop among the Cinque Terre towns by ferry-boat. This allows you to see them from the sea, which is for sure one of the best perspectives ever. From the ferry-boat you will be truly able to appreciate at a glance their romantic isolated appearance and colourful skyline. Moreover, you will dock directly in their little harbors, and find yourself right away in their lively alleys. We propose the ferry-boat route in our Cinque Terre day tours, but it is not always a possible route. In fact, the sole negative point is that this pleasant mini-cruise is weather dependant – if it is pouring with rain, windy or there is a rough sea, ferry-boats are not allowed to leave the harbor or to dock. If the day tour you chose includes some extra time to spend in the Cinque Terre towns, or if the weather does not permit a mini-cruise, local trains are the best choice. They connect the five villages in a few minutes, with frequent rides. You might find them a bit crowded in high peak season as given their convenience they are the usual mean of transport for local people too. Taking the train allows you to discover more than one village in a limited amount of time – you can take a stroll in Manarola’s alleys, eat a slice of focaccia in Vernazza’s piazza and then at last go sunbathing and shopping in Monterosso all in one day! Last but not least, if you are a nature lover and still have enough time during your day tour, you can also think to have a little hiking excursion. The Cinque Terre villages are connected by a network of hiking trails winding on the rugged Ligurian riviera. Even today, these paths are the proof of past times, when there were no cars or trains, and the only way to move in the Cinque Terre by land was on foot. Riomaggiore, Manarola, Corniglia, Vernazza and Monterosso are all starting point as well as arriving points, so you can create your own itinerary and calibrate its duration. You do not need to be an expert to try – some trails can be managedby families with children too. Nevertheless, remember to wear comfortable walking shoes! The trails are on unpaved terrain, and wearing flip flops or sandals can be very dangerous. From 1st April 2019, fines are also established for those who are not wearing appropriate shoes on the trails. Apart from that, if you are planning a hike just ask us for more information to choose the right trail for you and to be sure that it is not closed for temporary maintenance or bad weather.